5Formed on April 15th (tax day), 1983, by 13 Legionnaires of the Vietnam Era who loved baseball. The idea was simple for an American Legion Post and sponsor an American Legion Baseball team. Since the Post's birth baseball has been the nucleus of the Post's Legions programs. Today Post 295's membership is over 500 Legionnaires. The Post received its permanent Charter on December 7th, 1983. Post 295 is a 501(c)19, Veterans Service Organization, incorporated in Maryland. Post 295 is homeless, which means we do not have a Post Home* of our own. However, Post 295 has been successfully carrying out the programs of the American Legion since 1983 without a Post Home. 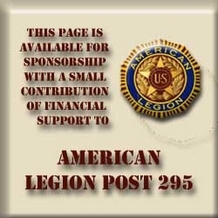 *Post 295 would gladly accept donations of property for the purpose of founding a Post Home.Members of The American Legion, American Legion Auxiliary and Sons of The American Legion comprise the Legion family, which has a combined membership of nearly 4.2 million Nationally. The Post leadership has decided to move out of the building we rented in after just 24 months. It was deemed untenable and was not supported by most Legionnaires. *Post 295 would gladly accept donations for the purpose of obtaining a Post Home. Members of The American Legion, American Legion Auxiliary and Sons of The American Legion comprise the Legion family, which has a combined membership of nearly 4.2 million Nationally. Email links are for provided for Post members to contact the officers only and not for solicitation, Thank you. American Legion Auxiliary Unit 295 - Chartered in 2006, in the spirit of service, not self, the mission of the American Legion Auxiliary is to support The American Legion and to honor the sacrifice of those who serve by enhancing the lives of our veterans, military, and their families, both at home and abroad. For God and Country, we advocate for veterans, educate our citizens, mentor youth, and promote patriotism, good citizenship, peace and security. Many Auxiliary members also hold dual membership in the American Legion. American Legion Rider Chapter 295 was one of the first Chapters in Maryland in 2003. 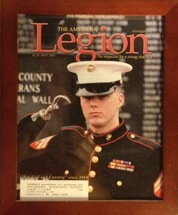 The ALR supports Posts programs and upholds the declared principles of The American Legion. ALR Chapter 295 has participated in Rolling Thunder since 2003, for serval years, the Chapter had a booth on "Thunder Alley." 2011 marked a milestone in the Chapters history. ALR 295 conducted the Inaugural POW/MIA Missing Man Run. The run was in honor and rememberance of Col Robert A Govan and Col David R Williams, Missing in Action over Laos since 1 April 1967. The ride was from Gaithersburg to DELMARVA Bike Week in Ocean City, MD and was supported by the Maryland State Police and Montgomery County Police Department. 31 Seasons of Post 295 Baseball, it continues to be our most successful program. One of the highlights of our program was hosting the 2003 Maryland American Legion State Baseball Tournament. Founded to support wounded warriors at Bethesda Naval Hospital, OPC has shifted focus to provided support and information for those who have loved oned who may be exhibiting signs of stress or PTSD. In January 2003, Legionnaires from the Vietnam Veterans Memorial American Legion Post 295 in Gaithersburg, MD have been assisted wounded and sick military members with personal care needs while they are undergoing rehabilitation at the area’s military hospitals. There are several corporate organizations providing the support we once did. We now feel our efforts to assist our fellow servicemen and veterans is to support those who do not have access to military health care. If we can make 1 life better, then everyone wins. Since 2003, Post 295 provided more than $10,000 in support to our wounded warriors. However, we are in desperate need of funding. If you can donate even $5, you will help make a difference.